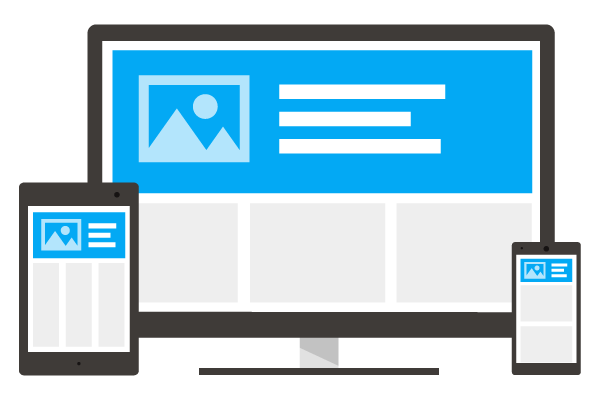 Responsive Web Design, or RWD, allows for website content to adapt to a wide range of screen sizes. It makes the content of the page fluid so that it can adjust from large screens down to mobile devices. RWD allows for one website to serve the needs of both laptop and desktop users along with tablet and phone visitors by responding to the visitor’s preference or screen size automatically. While the result is very similar, there are a number of ways to create a website to deal with the varying sizes, orientations and pixel counts of screens. Web site images, for instance, can scale up or down in size or, through the use of CSS, could be cropped to better fit certain formats. Many website themes you might use on WordPress, for example, have been built with responsive web design in mind and have a way of handling the responsiveness of a site right out of the gate. In fact, it may be difficult to find a website theme that doesn’t include some way of conforming to the various sizes of devices. This is, in large part, due to two occurrences. The number of mobile devices accessing the world wide web continues to increase. It was reported in October of 2015 that more than 50% of searches worldwide were from mobile devices. Google, in April of 2015, announced an algorithm change to tweak the search results that they display on mobile devices. The change boosted the rankings of websites with mobile-friendly pages. This, in effect, penalized websites that did not have a mobile-friendly design. Check the mobile-friendliness of your website with Google’s test. 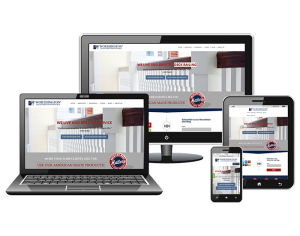 Responsive web design is our favorite option for building websites that will look great no matter what device they’re viewed on. Get our full take on RWD as well as several other design options on our blog post, Mobile-Friendly Becomes Mandatory: How to Overcome ‘Mobilegeddon’. No matter how you do it, your website must provide a good viewing experience, even on mobile phones. Every website we build functions well whether on a large desktop display or a much smaller mobile phone. Your website should too! If you want to find a digital marketing agency that will be a true partner to your business, it pays to be thorough during the interview process. We've put together a downloadable list of 40 questions to help you get to know the agencies on your shortlist.